The UAE passport has become this month the world’s most powerful passport after it ranked 27th in December 2016. 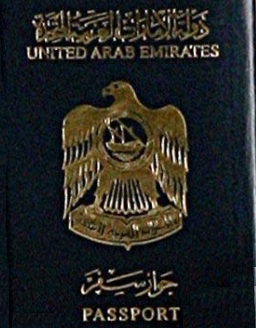 The Emirati passport leapfrogged to the top of the global Passport Index ranking, the Emirati passport holders being able to travel to 167 countries without pre-visa requirement. The achievement came as part of the Gulf country’s Passport Force initiative to place the Emirati passport on the list of the five most powerful passports in the world by 2021. The announcement of the UAE passport’s new ranking which came on December 1, coincided with the ‘Year of Zayed’ and the country’s 47th National Day. The Passport Index takes into account 193 countries and 6 regions of the UN members. The credit of the exceptional accomplishment is granted to the Ministry of Foreign Affairs, which has sought to place the Emirati passport among world’s top five. Written by: KanelkaTagba on December 3, 2018. Posted by KanelkaTagba on Dec 3 2018. Filed under Gulf News, Headlines. You can follow any responses to this entry through the RSS 2.0. Both comments and pings are currently closed.